My Top 7 Favourite Italian Soccer Players is based on performance, skill and overall ability to play their respected positions. The fact that they all look great shirtless helps this list, a lot. This Top 7 is a biased report and solely in my opinion. 1. 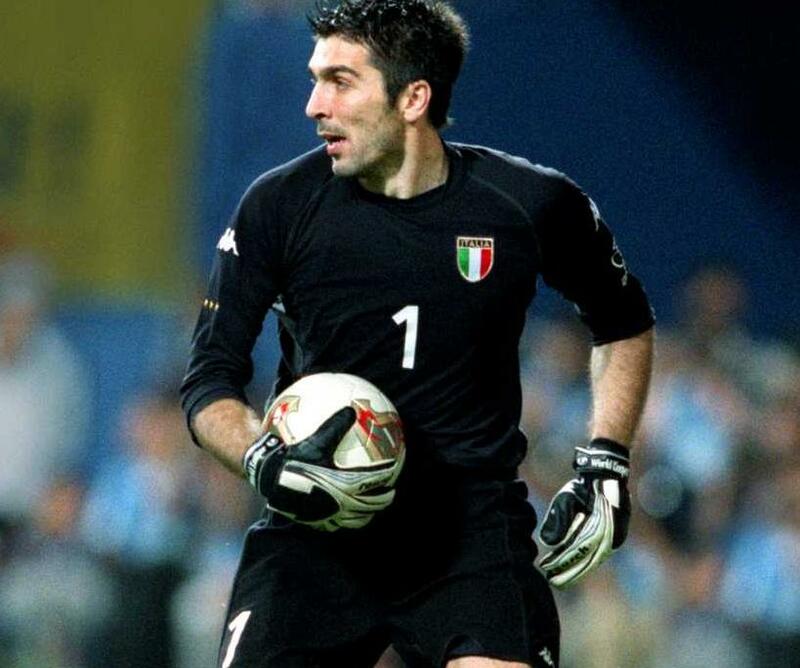 GIANLUIGI BUFFON – Born 28 January 1978 in Carrara, Italy. Goalkeeper for Juventus and the Italian National Team. He was born with natural athleticism, his mother was a discus thrower, his father was a weightlifter, both of his sisters played volleyball and his uncle was a basketball player. It’s been quoted that Buffon is the best goalkeeper in the world. He’s fantastic to watch play, this natural ability to protect what’s his makes him one of the highest paid players in Europe. He’s cute to boot! 2. FRANCESCO TOTTI – Born 27 September 1976 in Rome, Italy. Is an attacking mid-fielder for Roma. Totti holds the most caps in Roma’s history and is regarded as one of the finest players of his generation. 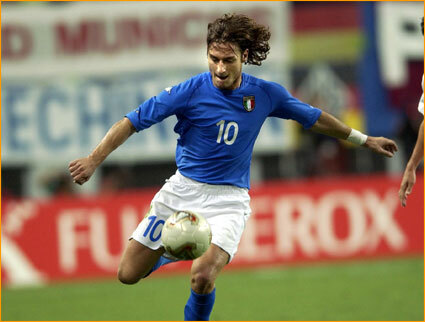 In 2002 he debuted for the first time in his career at the World Cup and in 2006 he was part of Italy’s International team to win the World Cup, finishing the 2006 World Cup with the most assists. He runs a soccer school called “Number Ten,” which is after his lucky jersey. 3. MARCO MATERAZZI – Born 19 August 1973 in Lecce, Italy. He plays center-back and at times defender. He’s a force to be reckoned with and his aggressive style of play has resulted in more than 60 yellow cards and 25 red cards. He is renowned as a great goal scorer for a defender and was signed in 2001 for 10 million Euro by Internationale. The only reason that Marco made this list is because I’m two degrees to him (we all know the six degrees to Kevin Bacon idea, right?) My husband once spent time with Materazzi while recovering from knee surgery in hospital. And I believe that Marco’s mother is Sardinian born, giving me yet another reason to add him to this list. 4. 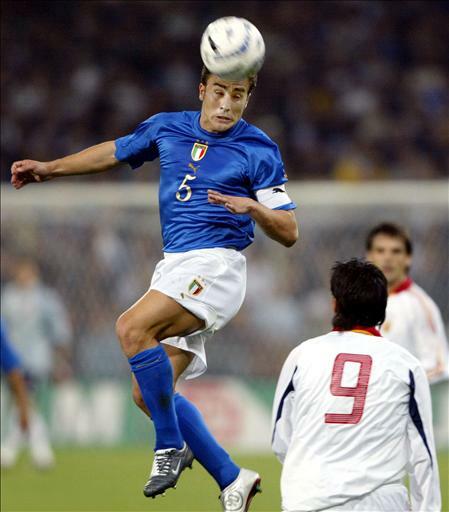 FABIO CANNAVARO – Born 13 September 1973 in Naples, Italy. Italian supporters have given him the nickname “The Berlin Wall,” in reference to his strong defending skills. In 2006 Italy won the World Cup in Berlin, Germany, Fabio’s moment of joy was lifting the trophy above his head in celebration. He was later named 2006 World Player of the Year by FIFA because during the 690 minutes he played, he did not receive one yellow or red card. He retired in July 2011 due to knee problems but still remains one of the greatest defenders of all time. 5. 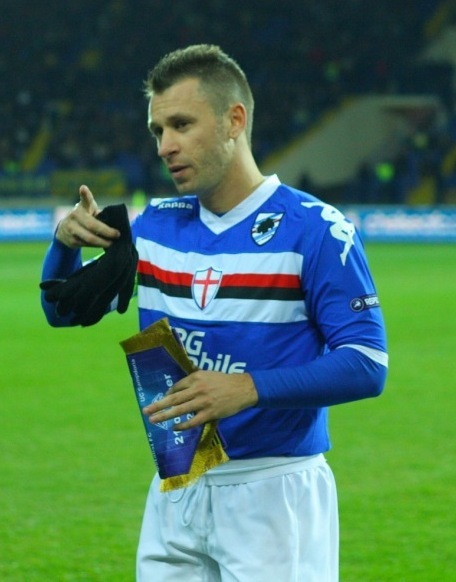 ANTONIO CASSANO – Born 12 July 1982 in Bari, Italy. He began playing at a young age and was scouted by A.S Bari’s youth system to begin training in Serie A. He now plays for Silvio Belusconi’s team, Milan. Cassano is known on the pitch to have a short temper, the journalists have coined the phrase “Cassanata,” referring to anything on the pitch which is incompatible with team spirit. He has sixteen caps and four goals playing on Italy’s national team, he’s a strong-willed player who began his career in 1999. 6. ANDREA COSSU – Born 3 May 1980 in Cagliari, Italy. 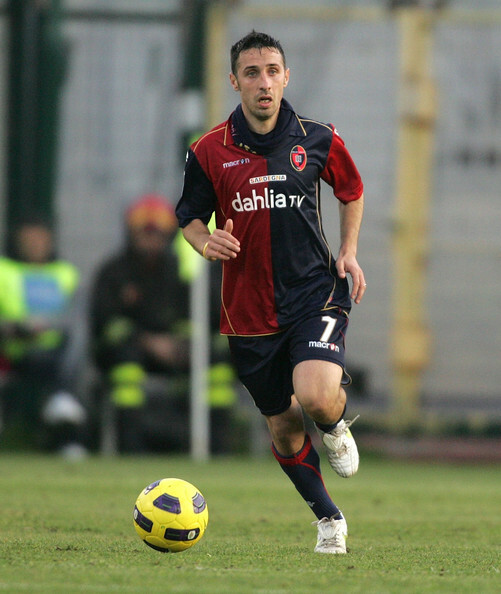 Andrea Cossu currently plays for Cagliari in southern Sardinia. Cossu is the second Sardinian in history to be called up to play on the national team. He played a friendly against Cameroon in 2010. He plays mid-field and is strong and fast. 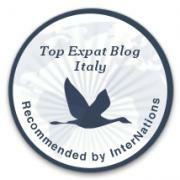 Cossu made this list because he is Sardinian and I need to support the Sards. I did mention at the beginning of the post, how each player represented on this list had made it here due to their preformance on the pitch as well as, looking good shirtless. Now I wouldn’t leave you wondering now would I? I know, right? You’re welcome. How do you like your sport? I doubt I can forgive you for omitting my sporting hero of all times, Roberto Baggio. Thanks for having included Andrea Cossu, he’s my hero! Totti? sorry he’s got no brains…..
Buff stuff always makes the Sunday morning coffee go down smoother! Thanks for the comment! We are all equal my friend, it’s not important what’s between the legs. And del Piero looks much better without clothes … not that I would personally know but the pics look great! OMG….thank you for sharing and making my afternoon :o) Especially the Buffon photo …mama mia. So reposting this on FB! :o) Buon week end! Liking the pics – its mostly too cold here for stripped down players. No tans and spaghetti legs. Glad to know Sardinians and Italians are as barmy about football as the English. Am appreciating soccer more and more thanks to this. LOL. Nicely done. Haha. Share those hunks all around the world. They are just too yummy to pass up! Thank you! What’s not to like? :-). Maybe I should start watching soccer! An unexpected surprise! Italian hotties!!! Haha, very good. The recent Italian team has been one of the best, I think. Players like Buffon et al are actually charismatic on the field – a bit like watching rock stars perform, I guess. Of them all, Cannavaro was awesome at his best. Not the tallest defender in the world but astonishing player. Sorry, I’ve slipped into footy speak. I have to ask this, Jennifer: What did you do AFTER you finished writing this one? I should NEVER have shown this to 17 y/o daughter…..
Well thank you – made my day those photos did. I don’t like football. Not enough contact!!!! I like my sports hot and sweaty with a little kink. But those boys are indeed yummy to look at!!! They actually really really look like men!!! I love it!!!! Hot Italian men. I thought about you while writing this post Woman. Bloody hell! I think I need to go back to bed now. You can read that anyway you like! I am not even remotely interested in soccer, but I am very pleased you shared these lovely photos!!! This is one of the reasons I love soccer/football so much, when they score they take off their shirt in celebration.